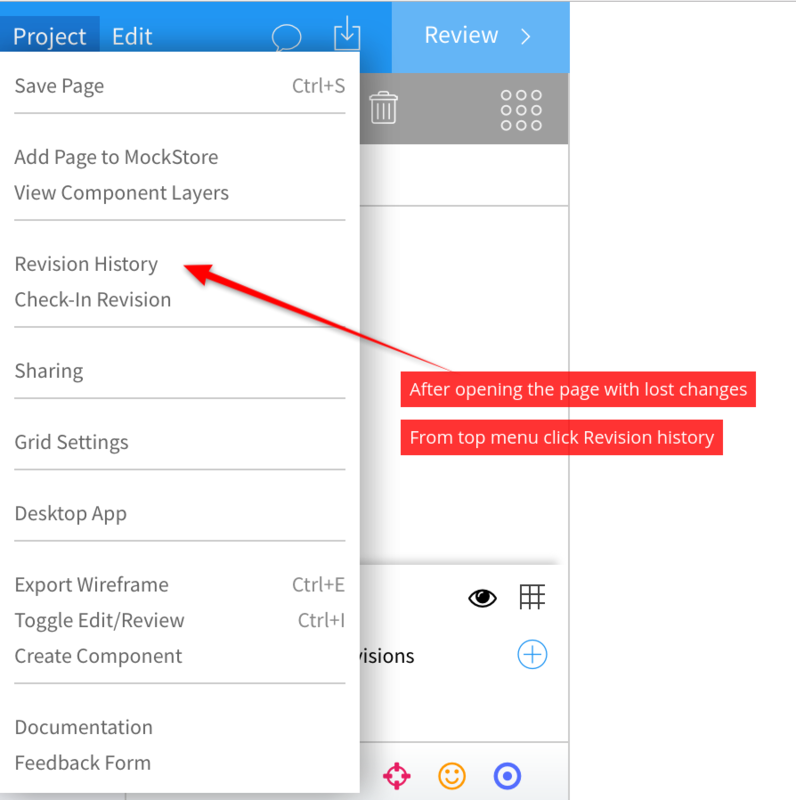 To save changes in MockFlow, the user needs to click the 'Save' button from the top menu. or the 'Save Changes' button that automatically appears in top-right corner of the screen. 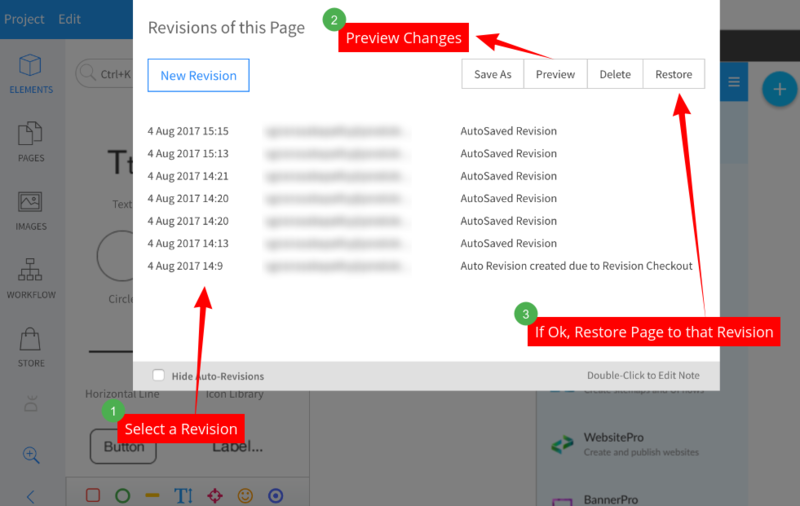 However in the background, MockFlow automatically saves user changes by creating auto-revisions, so even when the user forgets/unable to 'save' the changes, the unsaved work can always be recovered by previewing and restoring auto-revisions from the 'Revision History' located in the top menu.